And the winner for last months #OGAMillionaire has been chosen. You are bound for greatness from today onward because you were. Original. Genuine. Authentic. #OGA You always #WIN with St-Rémy Authentic French Brandy. 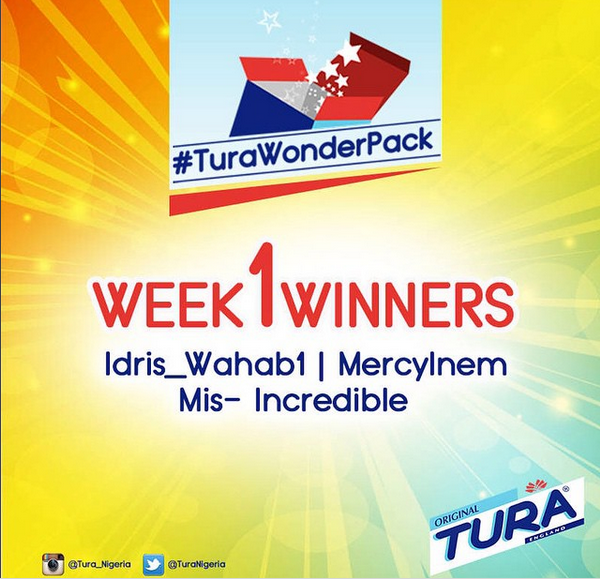 TURA "FAN OF THE WEEK"
Congratulations to our#TuraWonderPack week one winners. Congratulations to our week two#Wonder winners. The word for the day was "WIDER REACH"
If we haven't made a winner out of you yet, then you're missing something big! Keep Playing, it'll be your name soon! Just follow the instructions of the game, make the fastest time and find the Word for DAY 7! P.S. Check the Newspapers to play the puzzle offline. The word for the day was "MORE VALUE"
Last week we put up a picture and asked you to guess the #HolidayDestination. The correct answer is the Trevi Fountain, in Rome. Congratulations Olubunmi Oni , you gave the right answer and have won yourself N2,000 worth of airtime. Here is another #opportunity to get a great reward from us. Tell us, where in the world is this? Travel smart, go with your #FCMBCards. Instant Issuance & Activation at any FCMB branch. We start the new month with an announcement! Please inbox your contact details immediately. Congratulations to our final contestants all from Instagram! @kayleb_banks won the prized 1st place worth N25,000 goodies all from the GTBank SME MarketHub, and also a chance to compete in the grand finale, which will see one winner walk away with N100,000! You have just won an oraimo selfie stick. Please contact us to get your prize! Our first trivia winners. Kindly send your details to redeem your prize. Congratulations to our Monday Giveaway winners. The answer to the riddle is Apple. Please send us a message with your details. Thanks to everyone for your answers on Day 5#JovagoIsTwo Quiz, most of us did great! Our lucky winner on Facebook is Joy Anozie, Congratulations!!! Jovago Nigeria's Managing Director is Marek Zmyslowski. And our winner for #JovagoIsTwo Day 4 Quiz on Facebook is Unique Ebony Onyema. Congratulations!!! Thanks for all your answers in the Day 3#JovagoIsTwo Quiz. Our winner on Facebook is Gloria Ogbonnaya . Congratulations!!! #JovagoIsTwo Day 2 Quiz Winners. Congrats to Abayomi Adekunle Ralph, our lucky winner on Facebook. Yaaay!!! We have our winners for #JovagoIsTwo Day 1 countdown quiz. 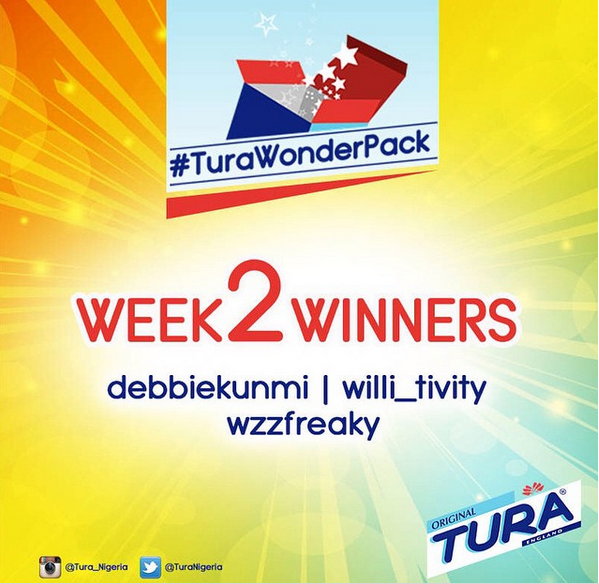 Congratulations to Peace Chinenye Uba, our winner on Facebook. Thanks guys for playing The Great ‪#‎CowbellQuiz‬. The correct answer is Vietnam (B). Our recharge giveaway goes to the 1st, 10th and 50th correct answers.